Add the perfect accent to any interior with our selection of décor and living accessories. 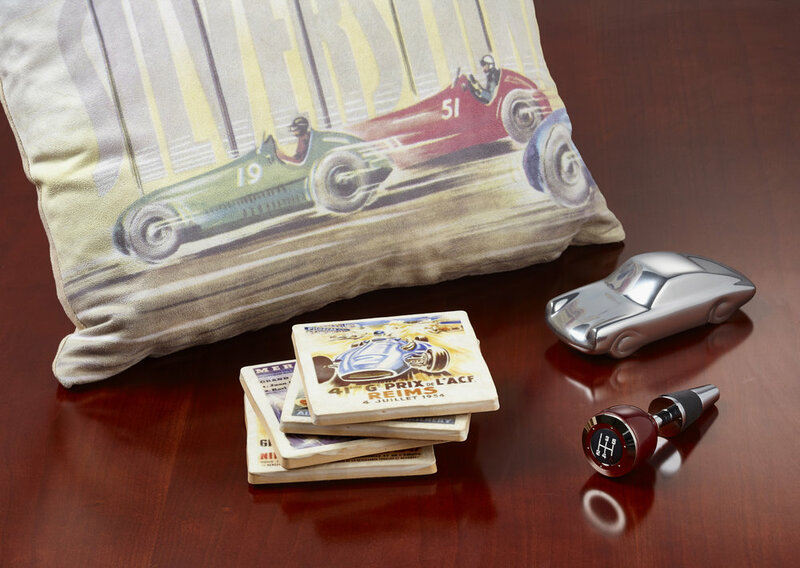 These unique handmade products celebrate classic motorsports, great events and famous locales around the world. If it's a gift you can use every day or something that is truly unique, accessories from The Drivers Society are a great solution. They are created by artists and craftspeople using old world techniques and modern materials. The result is barware, design accessories and chess sets for the classic automotive enthusiast as well as the admirer of special home items. Our Décor and Living offerings are equally at home in your residence or your office.